Othello - Columbia University Club of Washington, D.C. 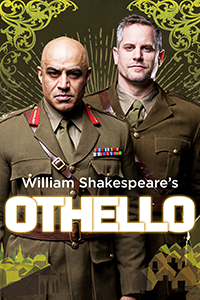 The Columbia University Club of Washington, D.C. invites you for a special evening of theatre on Tuesday, March 15th, at 7:30 p.m. with a production of Othello at the Shakespeare Theatre Company in Washington, D.C., featuring an amazingly talented cast and film and television actor Faran Tahir as Moorish general, Othello. After the performance, join fellow Columbia alumni for an exclusive talkback with professors Christia Mercer, the Gustave M. Berne Professor of Philosophy and Alan Stewart, Professor of English and Comparative Literature. They will discuss the themes of the play that are still very relative today as the world celebrates 400 years of Shakespeare! Seats are limited, RSVP here.